"Like" token, awarded by spawnlt. "Like" token, awarded by jollychang. "Like" token, awarded by stevex. "Like" token, awarded by johnny-bit. "Like" token, awarded by hach-que. "Like" token, awarded by gaconkzk. "Like" token, awarded by sectioneight. "Like" token, awarded by joshuaspence. "Like" token, awarded by qgil. This is completely speculative, but just writing it up since it's come up a couple of times. This could also just be an attribute on projects, like "members of this project get a specific badge". The main value of this would just be making these users easily identifiable without having to go dig around -- in the case of administrators/employees this helps users avoid confusion, and in the case of contributors/gold it could be a bit of a way to show off. I'm not sure how useful this would be overall, but we can collect other use cases if any arise and scrap it otherwise. Resolved chad T7992 Design "Badges" or "Medals"
Could badges be used for policies? 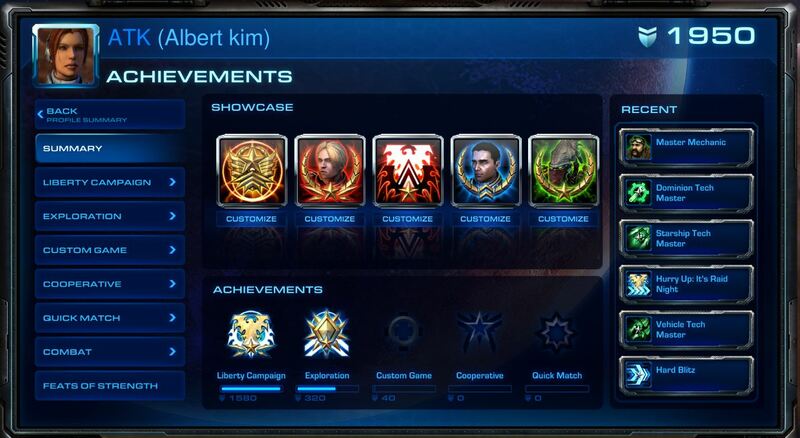 For example, Blessed Committers could be replaced with a badge potentially. This would (at least partially) solve T5602. They could, yeah. We'd probably need a "List all users with badge X" UI to avoid losing functionality, but that seems pretty reasonable. When I first read the title of this ticket, I thought that you were going to add gamification. sectioneight added a subscriber: sectioneight. I assume this would also supersede how disabled user accounts are currently displayed ("handle-disabled" CSS adding a black bullet in front of user name). Not mentioned in the task summary; just pointing out for completeness. I assume this would also be the way to go to indicate new Phabricator users (e.g. dateCreated within last 60 days) to be treated even friendlier / with more patience? Mozilla's Bugzilla has such a visual indicator. See their background discussions why this could be useful in communities, but could also discriminate new users. I wouldn't plan for this to supersede the grey "disabled" dot or the red "away" dot in the general case (those show up in a lot of contexts where badges won't) but it would be reasonable to consider showing a special automatic "Disabled" or "Away" badge in timelines, like the proposed "Admin" badge. I suspect the "automatic badge" stuff will be modular enough that it will be easy to add simple badges ("Disabled", "Away", "New for X Days") locally, even if we don't ultimately pursue them in the upstream. Badges would be granted by Project Membership or being an Admin. These would appear on your profile (I'm close to having PHUIBadge out for review). As part of editing your Profile, a user can choose to identify themselves with a Badge (if they have multiple badges, they can pick only one). In picking one Badge to identify with, we keep the feel of the product and it's use Authentic. So if I am an Administrator and part of Phacility High Command, I would choose one of these to be my primary identify around Phabricator. This should logically work well in most use cases. If you're a "Bug Team" member, "Design", or "Security", these associations would appear in Timeline and Hovercards adding to you're authenticity during the discussion. This would be a similar design direction to the "Author" tag we use on inline comment in Differential. If we go this route, we should probably consider "Can be used as Badge" in Projects. Or at least, in this install, seeing someone with (Spaces) by their name might seem weird. Show on Timeline: Inside buildTransactionTimeline(), load all the badges that each user has, then have the timeline render them next to their profile image. This direction I think is my only concern, as it sounds like a lot of clutter without much real benefit. At least, I'd like to attempt a more dialed back approach for the first cut and see what's needed after that. I don't want to do project/badge stuff yet, just an explicit "award this badge to this user" thing for now, but imagine maybe doing that in a future version. I'd also like us to try to fit, like, 3-5 ish badges into timeline if possible? maybe? We definitely don't need 100 but it would be nice to be able to see more than one, I think. e.g., my first badge has to be either "Admin" or "Phacility", and then my budget is exhausted and I can't have anything fun/unique if it's limited to 1. I'm fine slathering hovercards with tons of them, but am worried that more than 1 or 2 would make timeline cluttered. Though maybe you have a magical design for this I'm not able to envision. ...where the box is the profile picture, and (A), (*) and (~) are badges (white icon on colored circular field?) and we show details on hover. 5 might be hard to fit but seems like 3 is probably reasonable? They have to be pretty small but I don't think they need to be very big. Oh, yeah. That huge treatment might be good for "Administrator", "Employee" or object relationships ("Task Owner", "Task Author"), but feels pretty big for the more achivement-like "Made 100 Commits", "Registered for 5 years", "Contributed", things. 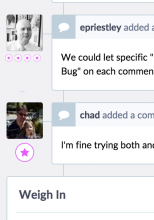 We could let specific "Important" badges generate a text tag like that but I'd like to be able to, e.g., award everyone who reports a bug a badge for it without turning every timeline into "Reported a Bug" on each comment. I'm fine trying both and seeing what shakes out in the long run (which may be both). http://www.wowhead.com/guides/vanity-collections/the-entitled-a-guide-to-titles was a lot of my inspiration, haha. It would be neat to gamify best coding practices instead of just arbitrary stuff on the site like "1000 comments" or whatever. Now I just have to figure out how to merge my two phabricator.com accounts together so that I get credit for my 2 commits (: Too bad I seem to have lost the password for the other one, and no longer work at that company so can't send myself a "reset password" link. Oh well, might just have to start submitting more diffs. I don't need this but I want it! chad added a subscriber: lpriestley. I'll see if I can skeleton out an application here. I don't think it will do much. They don't let me program much, so it'll likely delete all your data. It would be nice to be able to "bind badges to external things": for example: we've already had requests for "submitted the most diffs" or "closed the most tasks"
There is no way to go from a user's pokemon center to the list of other users with the badge. Clicking on it just flips it over. That would be our primary use-case, too. Do it have notifications or hook for email or slack? chad edited projects, added Badges (v0); removed Badges. I'm struggling with how to think about the 'temporal' nature of some peer awards that might fit badges. For example, I'd like to give the team that won the popular vote at a hackathon, but it would not feel so special if after a year "everyone" had an Epic badge displayed all the time. I'm thinking more "you get celebrated for a month" and less "list of all the typos I found 3 year ago". I think maybe something where a badge (or award?) could have a time limit attached after which it would still be in the trophy case, but no longer prominently displayed by each comment? Rescinding the badge feels too harsh. I expect every user to have millions of participation badges. Yet they'll have to select just two to prominently display. That's my expectation too -- the user cycles their "2012 Hackathon Winner" badge out for "2013 Easter Egg Finder" once they get bored of it, so badges are always fresh and lookin' fly. We could maybe just add a [X] Do not show on timelines. option to the badge if this doesn't resolve itself down the road, after T9006 gives users power over which badges are shown. • samuelmantou edited projects, added Badges (v1); removed Badges (v0). • samuelmantou moved this task from v1 to v0 on the Badges board. • samuelmantou edited projects, added Badges (v0); removed Badges (v1). This has been implemented and in use for a while, so closing and will finish up smaller tasks in backlog.